Just the other day I found myself in a stress induced vent session with my mom exclaiming, "You don't understand! I NEVER get a break!" Her reply was, "Well sweetie, neither did I!" I replied by informing her that yes, yes she did. She sent my brother and I to school from 8am to 3pm five days a week, that's a HUGE break in the day to get things done that need to get finished. Doctor office visits, house cleaning, food shopping, "me time," work, all of these things seem to get pushed the back burner all too often in my life. I don't have school to use as child care during the day, it's all on me. That can be overwhelmingly stressful at times. Here are a few things I do to ease the time constraint just a little. It seems like a simple concept, but we really have to make time for daily quiet time. He can do as he wants, but it has to be a quiet activity. He can use his computer, tablet, read, draw/color, watch TV....whatever so long as it is quiet and doesn't involve making a mess. During his quiet time I will either enjoy my own quiet time and play on the PC or read, or I'll get some house work finished. We are taking a Spring Break this week, so he is currently playing with a train simulator on his PC and I'm working on some blog work, doing some laundry, and starting my spring cleaning. I find myself waking early to get M off to work. I used to go back to sleep since I was usually up late getting things ready for the next day, so I was always sleepy. I have changed up my sleep schedule so that I can stay up after he goes to work and enjoy some time alone. I can get a lot of things done, or I can just veg out in the recliner and watch a little TV, play on the internet, etc. There are times when i will still sit up pretty late, and I tend to de-stress with online games or my favorite TV programs. DVR is a great thing. Never underestimate the power of reruns of The Golden Girls to make a mom feel refreshed! HAHA! As he's doing his school work, I get my work done, too. I will often be working on a blog, review, photo editing, required reading, etc. while he is doing his school work. I can work side by side with him so I can still keep him on task and be there to help him as needed. We will take a 15 minute burst break where we stop what we are doing and we tidy up a room for 15 minutes. This not only gives us a few minutes to burn some energy, but it also lessens the household chore burden on me. M will also help when he comes home by carrying heavy baskets of laundry from one floor to the other, and taking out the trash for me. On the Weekends we tend to dedicate Saturdays to getting things done, such as yard work. I will also help out there by mowing where I can while he's outside playing. Our yard is a two tiered lawn so while he's on the upper portion I can mow the lower without fear of him getting in the way and getting hurt. M will usually help me with unfinished house projects, or help me clean floors since that task really aggravates a back injury I have. M keeps his "Man Cave" tidy, and he will carry laundry, take care of the trash, and unload the dishwasher for me. He would load the dishwasher too....but...I'm a bit picky there HAHA! We all have a need for child care at times. I usually take him with me to all of my appointments and use these as a learning opportunity, but of course there are some that require childcare. I will swap child care with others who need it. Or I will enlist the help of family when they can. Sometimes, I just have to reschedule until I can get someone who is available to sit with him for me. This is by far the hardest part of homeschooling. It is always best to have a plan in place for child care, then have a back up plan, and a back up for your back up plan. Let prospective caregivers know well in advance of all appointments so that you have time to reschedule if needed, and they have time to plan their schedules as well. It is NEVER a good idea to wait until the last minute to try and find a sitter. Before M started his new job, he had to take Mr. B to work with him on occasion because we couldn't find a sitter. I will take him with me food shopping and use this as some of our school work. I'll give him a budget and he has to do his own shopping with that budget. I've also started teaching him out to coupon. We are in a unique position where he has weekly visitation with his bio-dad, and he will sometimes get him on Mondays so I can schedule some things for Mondays and get things done with my child-free Monday time. I will often get him started on school work, then tackle housework in between his lessons. And I never turn down the offer of Mamaw asking to take him with her somewhere! 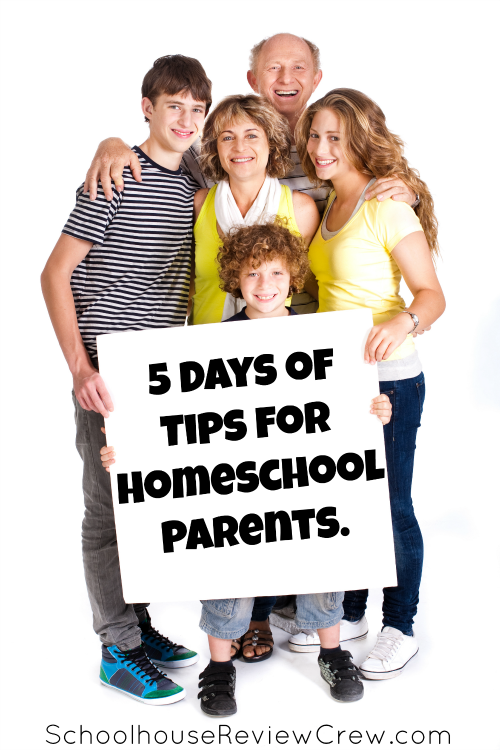 I also put a lot of effort into our homeschooling choices-choosing products that cover more than one subject or products that are pre-planned and laid out in such a way that it reducing the need for extensive planning. Great planners are an invaluable part of my life, and I can't stress that enough. Homeschooling is time consuming. But it can be tackled in such a way that you can fit in everything that NEEDS to be done with everything you want to do as well. The most important thing to remember is that your children are only little once. Take time to enjoy them, and know that the rest can most often wait a little while. Your house doesn't have to be museum perfect, and it's ok if Mount Laundry waits another day. Spend time with your kid/kids and enjoy them while you can. Please check out my fellow Crew Review members below!